The Days of Johann, an agility dog! 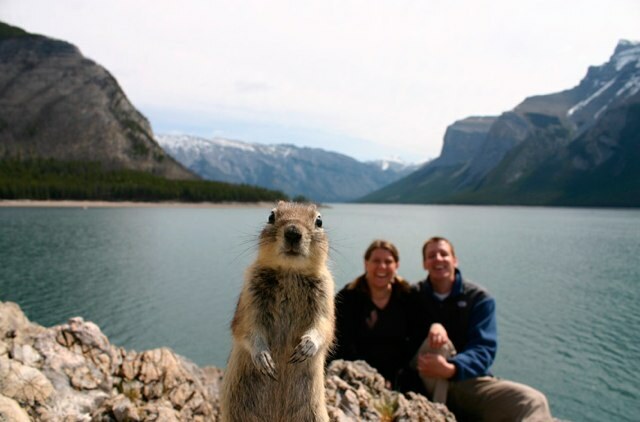 : Today is Squirrel Appreciation Day! Woo hoo!!! 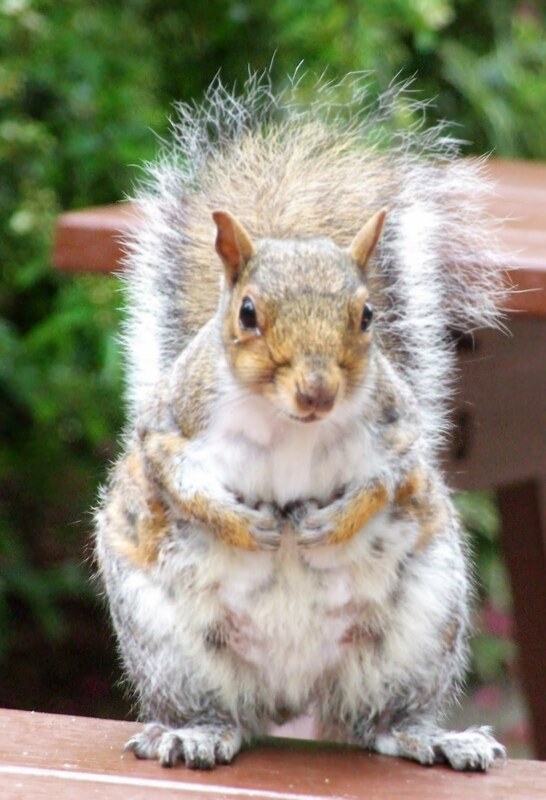 Today is one of my favorite days - it's National Squirrel Appreciation Day! In honor of the little tail flipping, tree hopping, nut gnawing, dog teasing rodents, here are my favorite sites, videos and photos of Squirrels!!! Squirrels are very innovative and intelligent, and can conquer most any obstacle you throw at them to keep the out of bird feeders (even to the tune of Mission Impossible)! Although some believe they can outwit the little ones and keep them out of the feeders. They even like to crash photos, BOL! This is a great (fur real) shot captured by Melissa Brandts (via National Georgraphic). If you can't get enough of them outside, here are gifts for men who have everything: live webcams, so you can always have the little teasers live at a computer screen near you (via the SquirrelHouse live webcam). Squirrels have brought down the NASDAQ stock market twice, once in 1987 and once in 1994. If you'd like to check out photos of lots of different type of Squirrels, National Geographic has a great photo gallery. And there's my second favorite video of Squirrels - time to get down! BOL! As a watch a big fat squirrel eat out of my bird feeder, I can't help but to admire their ingenuity. Happy Squirrel Day☺ I do love photo of the squirrel popping up in the photo...kind of reminds me of the gopher in Caddy Shack. It is so great that this is actually a real day. Squirrels are definitely under-appreciated. Thanks for posting about it and showing the videos. I think my dog enjoyed them too. that first video brought a tear to my eye! The patience of the Mama squirrel and the wonderful people who helped! I have been OBSESSED with squirrels almost as long as I have been obsessed with cats! I loved this and thank you for sharing!! Love those photos Ellen, thanks! With me around they are never still long enough for us to get photos, BOL!